Nestled in a lush cozy valley south east of Taipei, Pingxi a once forgotten coal mining town, is literally glowing with life. The thousands of rejoicing visitors are all here to be one of the lucky witnesses of what has become one of the most attractive celebrations in Taiwan. We were lucky enough to get a free lantern for one of the group releases at 7:00pm. The lanterns this year were being released in smaller groups because of a fire hazard from previous years. 10 waves of 200 lanterns each is still going to be impressive considering I have never even seen a sky lantern before. We pulled ourselves out of bed early this cold and damp morning to catch a metro and bus into Pingxi. AG was adamant about getting one of the free 1950 lanterns to be released that day. I on the other hand was having a “hangry" attack and was in search of some great local Taiwanese food. We were definitely not having the best this morning. Luckily the sky gods were on our side today because not only did we got a lantern for us, but we got an extra ticket for our friend Luc, reserved a prime location for my tripod at the launch site and found some delicious taiwanese donut all before 10 am. “Fang! Fang! Fang!” release they yell as hundreds of glowing lanterns launch in synchrony into the night sky. All my discomfort seems to lift away with each lantern. This is amazing!. Film rolling and my eyes glued, I watch globules of warm light sweep up and over our heads. This is probably one of the coolest things I have seen this trip. “Happy Chinese New Year everyone!” I hope you enjoy the video. 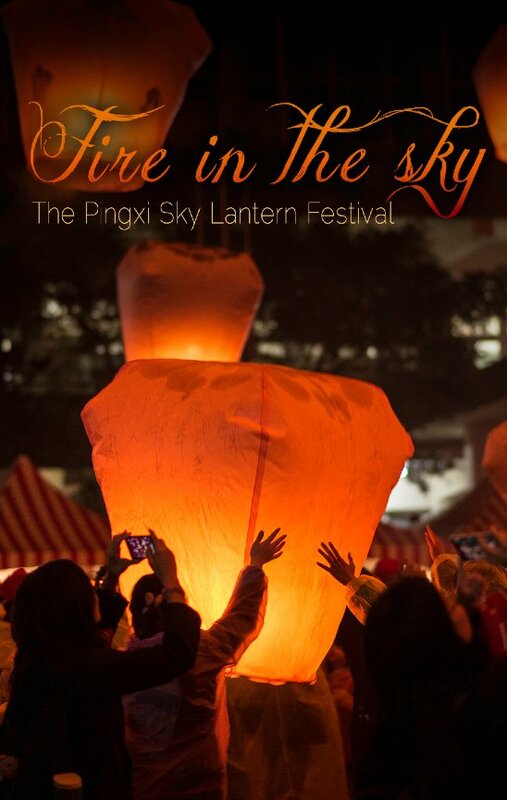 Pingxi Sky Lantern Festival from Kevin Su Photography on Vimeo. jimi - Looks so cool when you let go of the lanterns, mesmerising!